WomanRising, in its pursuit of honouring Women Entrepreneurs and Professionals, has presented a Certificate of Honour to the CEO of Tigo Ghana, Roshi Motman as one of the 2016 Top 50 Corporate Women Leaders in Ghana. Roshi, who has served as Tigo Ghana CEO for the past 4 years, is currently the longest serving Telco CEO in Ghana and the first woman to also head a Telco company in Ghana. took place at the head office of Tigo Ghana in Accra. 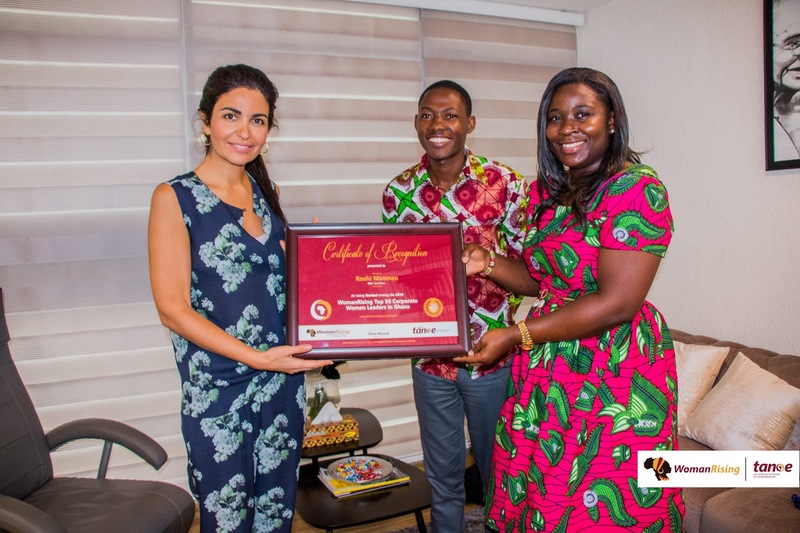 In her words, appreciating the award from WomanRising, she remarked it not being easy to combine roles, as a mother, wife and CEO of one of the largest Telco companies in Ghana. Sharing her success tip with the team, she also mentioned her strategy of working with women has helped her model Tigo into a world class corporation in Ghana. Currently, almost 50% of Tigo Ghana’s management positions are occupied by women and are part of the workforce that brings great telecommunication service to millions in Ghana. Present in the ceremony was the Head of Corporate Communications of Tigo Ghana, Gifty Bingley. WomanRising is a network under The African Network of Entrepreneurs (TANOE) that supports women entrepreneurs and professionals in the consistent development and advancement of women, especially in Africa. 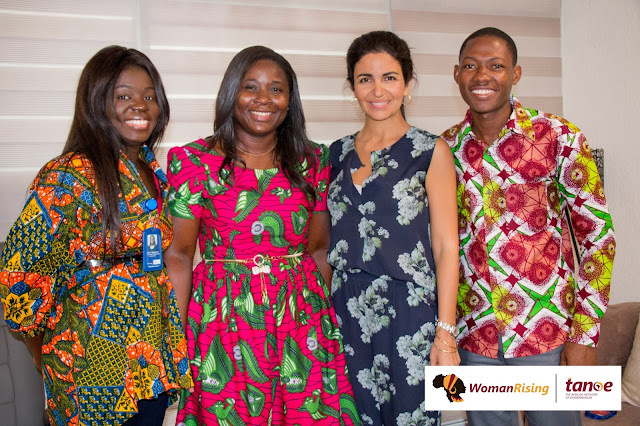 Other initiatives run by WomanRising include; WomanRising Awards, Women CEOs Summit, WR Clique 100 Most Influential Ghanaian Women, 100 Most Outstanding Entrepreneurs in Ghana.